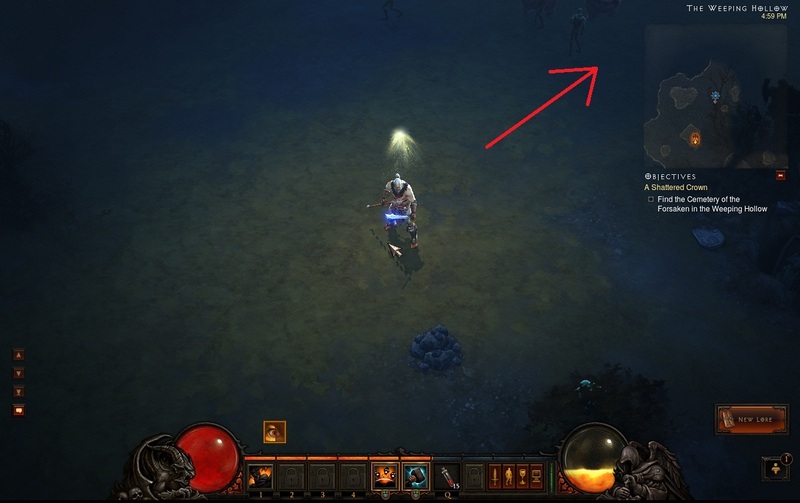 If you wonder where you can find the Cemetery of the Forsaken in Diablo 3 Act 1, know that it can be found in the north-east area of the Weeping Hollow region. You must go in the Cemetery of the Forsaken as a requirement for the quest called A Shattered Crown. Usually in the cemetery you'll find a rare mob and three Defiled Crypts. I recommend to enter in each one of those crypts, even if you find the Altar in the first one you choose to enter. If you haven't played the beta, don't rush to the Cemetery of the Forsaken. Take your time and sweep the entire Weeping Hollow area because you can find some optional areas there like and, if you are lucky, a rare dungeon and an Easter Egg from Diablo 2. 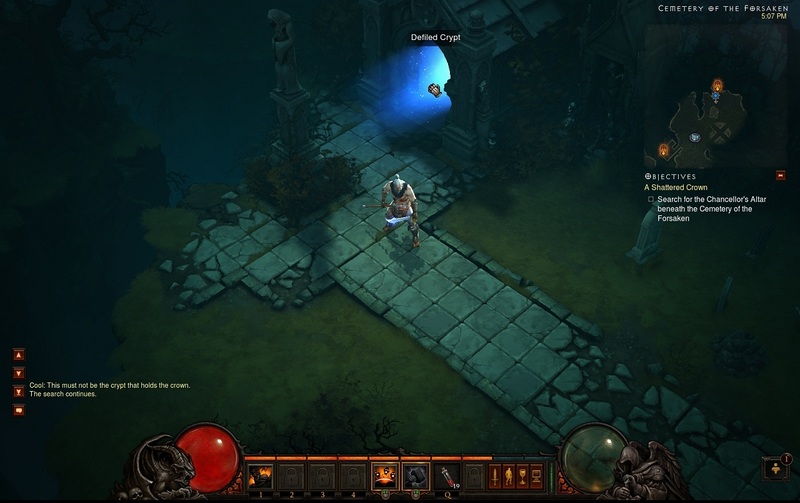 The Cemetery of the Forsaken is a really easy area to find in Diablo 3, but to help you, I posted two screenshots I took while playing the beta. Did you find the Cemetery of the Forsaken location easily?